Summary of the project: I worked with Em Cena, an NGO in Recife, raising awareness & increasing the understanding of the impact of drugs in the community through the students themselves. 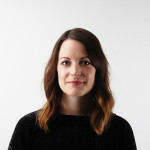 Emma is currently a Production Director at Mother London. Her main client is IKEA, for this client she oversees a team of producers and manages the campaign production relationships with clients, creatives and suppliers. She also runs the Downstairs at Mother event space with a team who provide a calendar of arts and culture events in Shoreditch year round. Emma’s career in the advertising industry began at Tag, working in post production, before moving to JWT as a project manager. After two years in this role Emma moved to Mother as a producer, she is now entering her 5th year at the agency, and has worked across many clients and campaigns throughout her time there. Emma studied Music at Brunel University and completed her BA there. She then spent time working as a session musician in Australia before moving to London and entering the world of advertising. In her own time Emma helps to run a music festival on a farm in Wiltshire. Every penny raised at the festival goes to the Wyle Vallley Disabled Childrens riding Camp - a summer camp for disabled children, which she has also volunteered since 1998. Emma went to Recife (Brazil) to work with a children's organization called Em Cena, that uses music and art to develop the children and their communities.